After seeing Despicable Me (2010) and Despicable Me 2 (2013) with all those cute minions, I was super excited about Minions (2015) but then, I was disappointed by that film and found it rather boring. Now, they offer another film which is, of course, Despicable Me 3. I am still excited to see the minions but Despicable Me is never about the minions alone. It’s mainly about Gru and this time, Gru found his twin brother, Dru. Not only Gru met his brother, he also has to face new threats. Gru’s wife, Lucy, also has her own obstacles being a new mother to three children.Now, unlike the solo film of Minions, Despicable Me 3 is more not boring. Now, unlike the solo film of Minions, Despicable Me 3 is not as boring. However, I can’t say that this film is great but at least it’s good enough and you can enjoy some laughs. The target audience for this film is pretty much obvious. With a very light plot story, Despicable Me 3 definitely targeted the younger audiences. Unlike Disney films, Despicable Me 3 doesn’t give many moral lessons. Seeing that they actually targeting younger audiences, it’s kind of a shame. I can hardly pick what lessons can we learn from this film. Well, I am not forcing they have to but it’s a good thing if they can. Nonetheless, Despicable Me 3 still an entertaining film. I truly believe that the younger audiences will like this film. 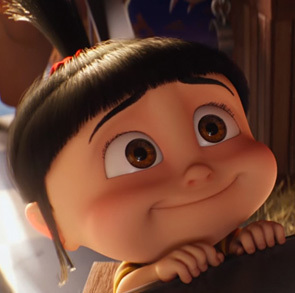 Especially when the minions and Agnes, Gru’s youngest daughter, are so cute. However, I don’t think a very young audience can understand this film fully. Although the story is simple, there are still some conflicts going on that a very young audience may not understand just yet. Still, I think they can still enjoy the action and the cuteness in the film. It’s funny that I hardly even noticed any children when I watched Despicable Me 3 a few days ago. Perhaps the choice of watching time is the reason why. However, in a matter of speaking, when I watched The Mummy (2017), a number of children are more than this film. I’m a bit questioning about the way these parents teach their children. I don’t mean to judge since I haven’t had any child, but seriously? Who brought their children to a scary film like The Mummy and not to a child film like Despicable Me 3? I guess those parents are. Don’t expect too much from the action sequences because this film is rated PG, which means the violence has gone to the minimum. The joke itself is not something special that will make you laugh out loud. However, I must admit that at some points, the scene is so ridiculous that you will find yourself laughing while shaking your head too. Because it’s too ridiculous, that’s why you can’t help not to laugh. 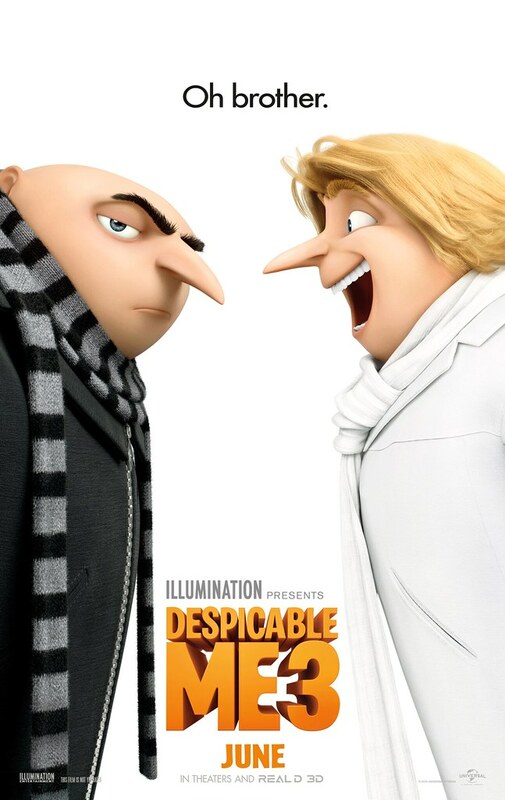 I am amazed by Steve Carell because he was able to do two voices for Gru and Dru. Like all other twins, even though their faces are the same, their voices can hardly be the same. That’s why it’s fantastic for Steve Carell to be able to do different voices. I always feel amazed with voice actors, especially when they can do it in different kind of voices. Although I like the way how Steve Carell voiced the character of Gru and Dru, the character of Gru himself is no longer interesting. Perhaps because Gru is no longer the bad guy and therefore his character is not as intriguing as before. Sometimes, being the bad guy is more interesting than being the good guy. Hold the thought. I am not saying being the bad guy in general. But what I’m saying is about the bad guy in films. Because as we all know, being the bad guy in real life is a big no. Spreading hate is a no. Being the bad guy in real life won’t make you interesting. In a film, maybe. But not in real life. Please note that. Anyway, for the overall storyline, Despicable Me 3 surely is entertaining enough. However, is it really great? I don’t think so. I still think Illumination Entertainment needs to keep up with Disney. If their goal is not giving films with moral lessons but only for pure entertaining, I think they are already on a good track. However, I still think they need to remedy a few things here and there. I also like how they brought the animation pictures to life. They are really good. Although not breathtaking but you can still enjoy it. In summary, Despicable Me 3 is a good and entertaining film. It may not be that great but I think this film can at least release some stress with the ridiculous act by Gru and Dru, and of course the minions as well. Agnes is also looking as cute as ever. Seriously. I give Despicable Me 3 7 out of 10 stars.